Chuck Norris (Silent Rage and Missing in Action) is John T. Booker, an ex-Vietnam soldier who unravels a terrifying government conspiracy surrounding the confirmation of the new Secretary of State. Good Guys Wear Black, written by Mark Medoff (yes, believe it or not, this is the same man who wrote the 1980 play Children of a Lesser God) and Bruce Cohn, and directed by Ted Post (Magnum Force and Beneath the Planet of the Apes), suffers from an unbelievable plot, a lazy central performance, and routine action sequences. This is not a very good film (not even one of Chuck Norris’s best vehicles), and I’m not even sure why I decided to re-watch it. As a kid, I remember having a pleasant time watching this film. 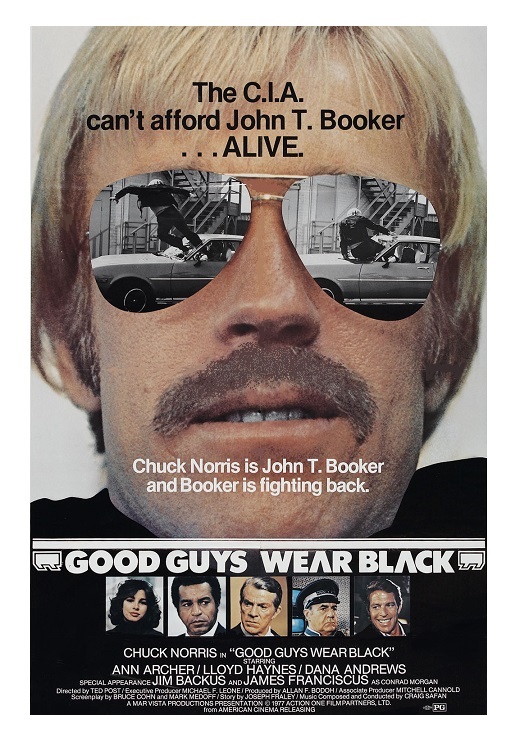 Now some twenty odd years later, I can see more clearly the film’s obvious shortcomings — Good Guys Wear Black is a glorified B-movie that oversimplifies the political chaos of the post-Watergate scandal. I did get a kick out of seeing the very conservative Norris give a rather strong anti-war speech. Good Guys Wear Black helped establish the formula that Norris will use again and again in all his subsequent film projects — the decent good guy who, despite having martial arts skills, would rather try to find a peaceful solution to a problem. Born in Oklahoma in 1940, Norris learned martial arts during his brief stint in the Air Force during the 1960s. Following actor Steve McQueen’s advice, Norris tried acting, and after a succession of highly successful action films, he became a bona fide movie star. 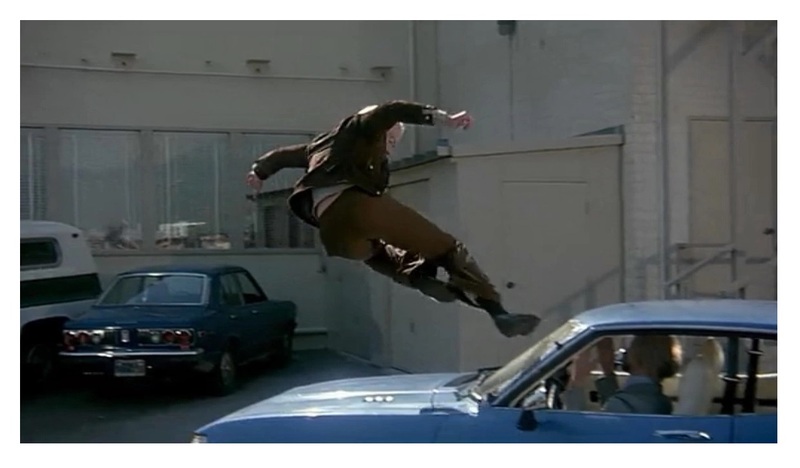 Good Guys Wear Black’s success at the box office made Norris one of the most recognizable action stars of his generation, and his action flicks from the 1970s and 1980s opened the door for mega-stars like Arnold Schwarzenegger, Steven Segal, and Jean-Claude Van Damme. Norris is clearly a limited “actor.” He did get better with each film, but he is merely adequate here. Thankfully, he was surrounded by a cast of fine actors. Anne Archer (Fatal Attraction) plays Norris’s love interest. James Franciscus (Beneath the Planet of the Apes) is deliciously hammy as an evil politician. Dana Andrews (Laura), in one of his last films, plays an alcoholic government official. Jim Backus (TV’s Gilligan’s Island) has a cameo as a doorman. Norris’s fans will enjoy Good Guys Wear Black the most. Non-fans will probably find the movie merely adequate. That being said, this actioner couldn’t be categorized as a complete misfire especially in the wake of mindless, overblown action films like Transformers and The Transporter. Color, 95 minutes, Rated R.